Create an advanced anti-ageing routine in two simple steps with this exfoliating duo. Formulated with glycolic acid (AHA), both exfoliants work to gently remove built-up layers of dead skin, revealing a brighter, younger-looking complexion. After a few weeks, your skin will feel softer and smoother, with a visible reduction in the appearance of brown spots, fine lines and wrinkles. 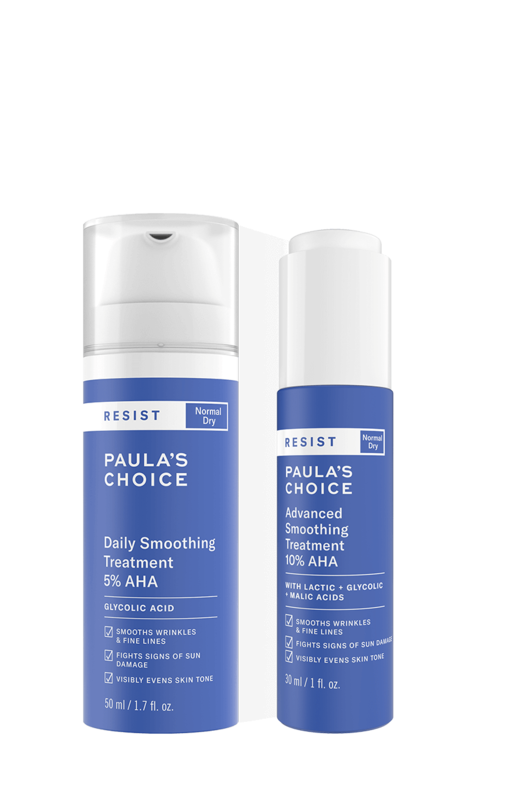 Apply the Resist Daily Smoothing Treatment with 5% AHA after cleansing and toning. Follow with a serum and finish with a day or night moisturiser. Once a week substitute with Resist Weekly Resurfacing Treatment with 10% AHA as part of your nighttime routine.